Pro-euthanasia activists always make a great play of how their proposals to help people kill themselves are extremely modest and are bound by ‘robust safeguards’. It’s only for the mentally competent, only for the terminally ill, only for adults they say. There will be no killing of children, disabled people or demented people. It’s all going to be strictly controlled. The first is that DID’s position is ultimately illogical. Their main arguments, autonomy (it’s my right) and compassion (I’m suffering unbearably), apply equally to some people who are not ‘mentally competent, terminally ill adults’. There are people who are not adults, not terminally ill or not mentally competent who claim they are suffering unbearably or who want to die. Locked-in syndrome sufferer Tony Nicklinson is not terminally ill and celebrity novelist Terry Pratchett (pictured), who has Alzheimer’s, will soon not be mentally competent as a result of dementia. But they both want the ‘right to die’. On the other hand most terminally ill people do not want to die and are not suffering unbearably. This means that if we legalise assisted suicide or euthanasia for those who are mentally competent terminally ill adults, the logic of the autonomy and compassion arguments will demand extension to other groups of people. Incremental extension is inevitable because the proposed legislation is actually discriminatory. It won’t survive five minutes in its current form without a human rights challenge on grounds of equality. Once you have a right for some, it will be argued, it must be there for all. The second problem is that there are already many ever-so-slightly-more-radical groups which are already pushing for extension beyond mentally competent terminally ill adults. SOARS and FATE want it for elderly people, terminally ill or not, and EXIT International (Philip Nitschke’s outfit) says it should be available for the elderly bereaved and troubled teenagers. 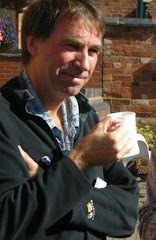 In fact in the Times this week, celebrity novelist Terry Pratchett , a patron of Dignity in Dying who part-funded the defunct Falconer Commission, is saying that an exception should be made for Nicklinson who is not terminally ill and would require euthanasia and not assisted suicide (as he is not capable of killing himself even with assistance). So it seems that DID are unable to restrain the enthusiasm for extension of even their own patrons. 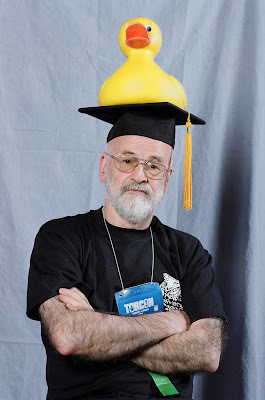 I expect that Pratchett will also want an exception to be made for himself after he loses mental competence. Don’t be fooled. The Voluntary Euthanasia Society may have changed its name but it has not changed its agenda. If they ever manage to get a bill passed by parliament which allows assisted suicide or euthanasia for anyone at all you can be sure that even before the ink is dry they will be clamouring for extension, and many will find the logic of the argument based on autonomy and compassion to be compelling. It’s best not to go there at all.